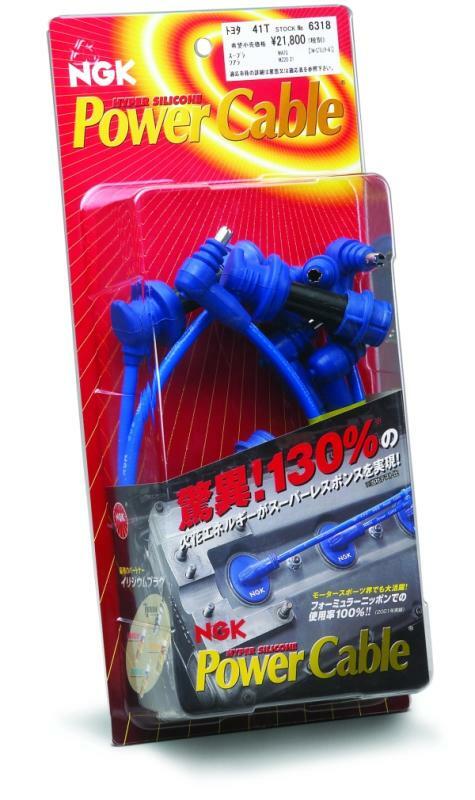 NGK Spark Plug Wires - Power Cables - Dezod Motorsports Inc - Home of the automotive performance enthusiast since 2002. NGK’s Power Cable is a performance spark plug cable designed with ultra-low resistance (0.9kW/m). The ultra-low resistance reduces spark energy loss, thereby improving acceleration, delivering smoother idling, and burning fuel cleaner. NGK’s patented hyper silicon jacket minimizes voltage leakage, is resistant to heat and chemical corrosion, and it is reliable under extreme conditions. It’s the hyper silicon jacket and the ultra-low resistance that allows NGK to maintain the factory diameter wires and provide the performance you crave.